Now gloss goes gloriously gutsy with Color Sensational High Shine Gloss by Maybelline. Pure color from liquid pigments, creamier feel from nourishing honey nectar, and a cleaner shine, only from this 100% wax-free formula. Super-saturated color meets ultra-clean shine…Sensational. In June Maybelline launched its Color Sensational High Shine 'POP' colored lip gloss in 8 shades in India. 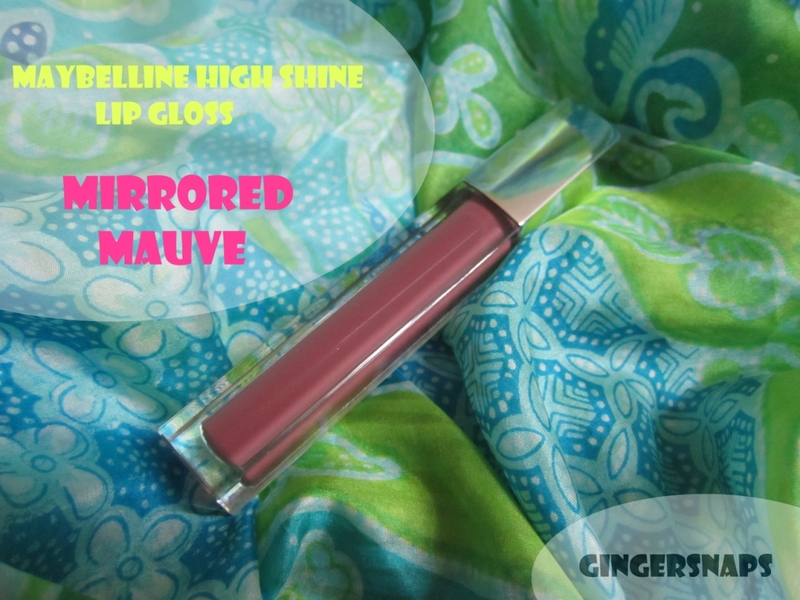 Frankly, I had quite forgotten about the colour "Mauve" since I got obsessed with Pink lipsticks, and the shade "110: Mirrored Mauve" was a refreshing change for me. Maybelline's "110: Mirrored Mauve" is a pinkish mauve shade which borders on brown. Its creamy texture glides on to your lips easily and it is as non-sticky as is possible for a lip gloss. I like its simple and sleek packaging. This shade is highly pigmented, and stays for a good 3-4 hours. 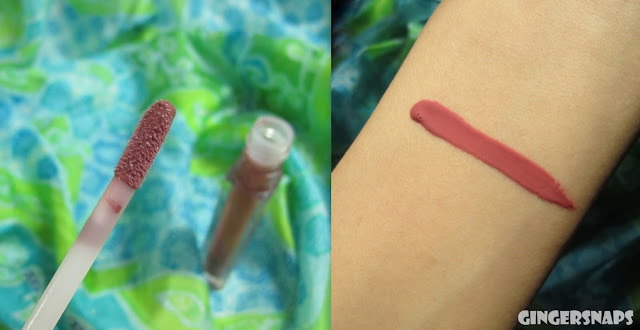 The swatch that I have given in the picture above is one thick swipe of this product. I find Mirrored Mauve's shine quite subtle, but the other shades in this range, especially the ones with shimmer, live up to the claim of "High shine." Mirrored Mauve is a pretty and subtle shade which is great for everyday wear. I like it! It will be hard to find such a highly pigmented gloss in this price range. Maybelline’s high shine glosses have got 8 attractive shades so I am sure that there is a shade for everyone. So, Have you tried Maybelline's High shine glosses yet? For clearer pictures with better colors, please click on the images. P.S. Product sent by the company for consideration but hold you horses!! That is never going to affect my opinion, pinky swear! Looks pretty, I'd like to see a sample of what it looks like on actual lips :) Just a suggestion! Looks good! Although I'm not a big fan of glosses, will give this one a try!